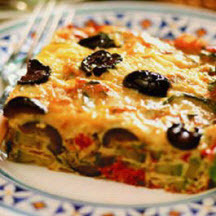 CooksRecipes has quality, kitchen-tested recipes for the frittata, basically an open-faced omelet, that you can count on for successful deliciousness. 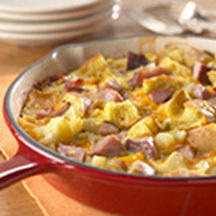 This ham and cheese frittata works for a weekend breakfast or brunch with muffins and juice. You can also serve it as a light lunch or supper with a green salad. 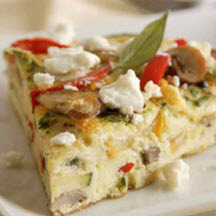 Enjoy this low-fat, veggie-loaded, guilt-free frittata for brunch or supper.